"Now, in Ukraine's pre-election period, it is crucial to maintain the reform momentum and to make these changes irreversible. There cannot be roll-back on issues such as anti-corruption efforts," said Commissioner Johannes Hahn. Ukraine has made progress in a number of important areas over the past year, but several outstanding reforms still need to be reinforced so that Ukrainian citizens can fully reap the benefits of the EU-Ukraine Association Agreement and its Deep and Comprehensive Free Trade Area. The EU published today the Association Implementation Report, which monitors the implementation of the commitments under the EU-Ukraine Association Agreement over the past year – since November 2017 – and feeds into the annual EU-Ukraine Association Council, which will take place in Brussels on 17 December. The report, which was prepared by the European External Action Service and the European Commission, was handed over to the Prime Minister of Ukraine, Volodymyr Groysman, by the Commissioner for European Neighbourhood Policy and Enlargement Negotiations, Johannes Hahn, in Kyiv this morning. “Ukraine has advanced in a number of important and demanding reforms over the past year, including healthcare, pensions, decentralisation, public administration, public procurement and the environment. These are all vital for the implementation of the Association Agreement and therefore for a more prosperous and stable Ukraine. Now, in Ukraine’s pre-election period, it is crucial to maintain the reform momentum and to make these changes irreversible. There cannot be roll-back on issues such as anti-corruption efforts. 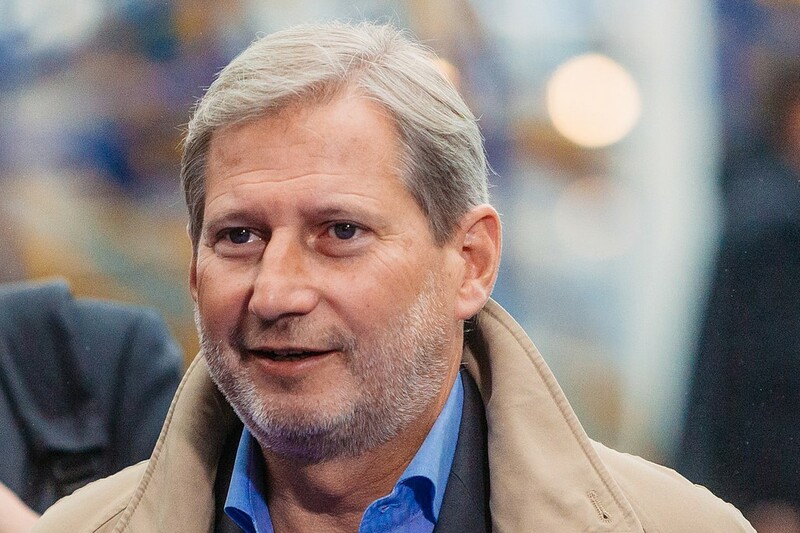 Continued reforms in the economic and justice sectors will send a strong signal not only to the citizens, but also to domestic and international investors and help boost the creation of jobs in Ukraine”, said the Commissioner for European Neighbourhood Policy and Enlargement Negotiations, Johannes Hahn. At the same time, the report notes the slower pace of reforms in the areas of the judiciary and anti-corruption measures, and emphasises the need to reinforce the reform momentum. While the renewal of the judiciary continued, there have been only few convictions in high-level corruption cases so far. The establishment of the High Anti-Corruption Court remains a test case in this regard. The selection earlier this week of the international experts who will assist Ukraine in selecting the judges of the High Anti-Corruption Court is an encouraging sign. Civil society has an important role in the fight against corruption and must be able to carry out its courageous work safely and unhindered. Attacks against civil society activists need to be properly investigated and sanctioned, and proper action by law-enforcement authorities to this end is needed. A landmark law on the reform of the security sector was adopted in June 2018, awaiting now follow up. Other areas, as noted by the report, have seen more positive progress. As a result of sustained economic reforms, for example, many large state-owned enterprises have continued to increase profits under the steering of independent supervisory boards, while hundreds of smaller ones have been successfully privatised. Regarding the energy sector, Ukraine has continued to implement the legislation on energy efficiency. The Energy Efficiency Fund was set up with substantial financial support from the EU. However, the report notes little progress in the creation of independent gas and electricity transmission system operators and the need to step up legislative approximation in the transport sector. Progress has been achieved on sanitary and phytosanitary issues, company law, public procurement and environmental protection. The DCFTA has played a significant role in increasing trade between Ukraine and the EU, which shows the importance of further work to approximate legislation and standards. The European Union continues to fully support Ukraine’s independence, territorial integrity and sovereignty. It continues to condemn the illegal annexation of Crimea and Sevastopol by the Russian Federation, the building of the Kerch Strait Bridge without Ukraine’s consent and the further militarisation of the peninsula and the Azov Sea. The European Union continues to support the diplomatic efforts to find a lasting peaceful solution to the conflict in eastern Ukraine through the complete implementation of the Minsk Agreements. It expects the immediate release of all illegally-detained Ukrainian citizens in Russia and the Crimean peninsula. The European Neighbourhood Policy provides the EU and its neighbours with a clear political framework for the coming years with an overall objective of stabilisation. Since 2015, the policy’s principles have been: enhanced differentiation between partners, a greater focus on objectives agreed with partners, increased flexibility to improve the EU’s capacity to respond to crisis situations, and a greater ownership by Member States and partner countries. The Association Agreement, including a Deep and Comprehensive Free Trade Area, between the EU and Ukraine entered into force 1 September 2017, after being partially provisionally applied since November 2014. It promotes deeper political ties, stronger economic links and the respect for common values, and is the basis for EU-Ukraine cooperation and EU support to reforms in Ukraine.